An exhaust hood, extractor hood, or range hood is a device containing a mechanical fan that hangs above the stove or cooktop in the kitchen. It removes airborne grease, combustion products, fumes, smokes, heat, and steam from the air by evacuation of the air and filtration. 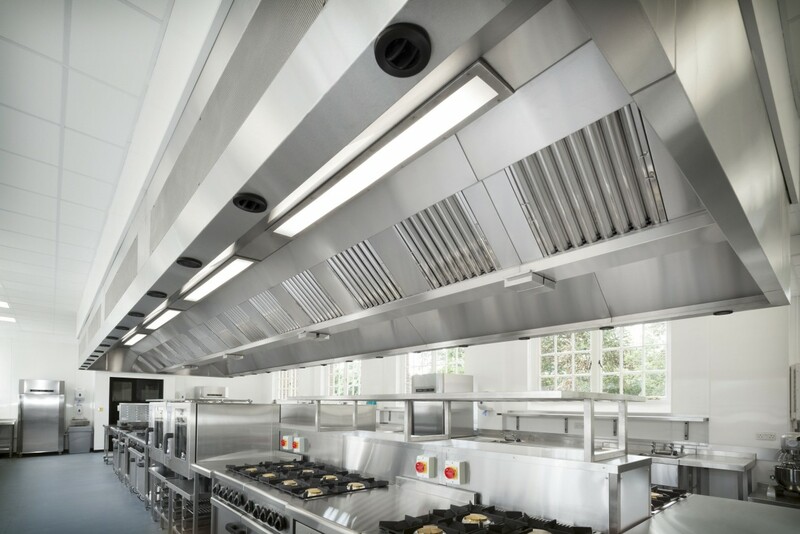 In commercial kitchens exhaust hoods are often used in combination with fire suppression devices so that fumes from a grease fire are properly vented and the fire is put out quickly. commercial vent hoods may also be combined with a fresh air fan that draws in exterior air,circulating it with the cooking fumes,which is then drawn out by the hood. In most exhaust hoods, a filtration system removes grease (the grease trap) and other particles. Although many vent hoods exhaust air to the outside, some recirculate the air to the kitchen. In a recirculating system, filters may be used to remove odors in addition to the grease. Inspectors are looking for performance and fire prevention when examining the restaurant ventilation system. Quality Restaurant Equipment Masters Company will not compromise on performance or safety. After all, the safety of people and property is the number one priority. 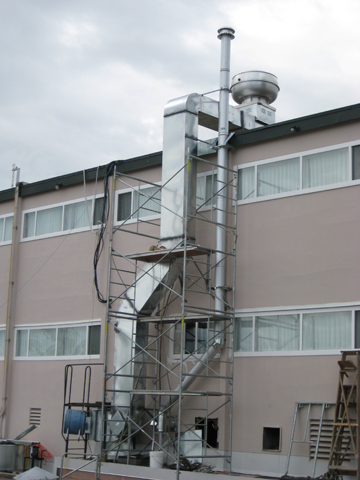 If you are interested in a custom exhaust ventilation system, please contact the professionals at QREM Company by calling (586)576-7777 You may also contact us through our website or by email at info@qremshop.com .